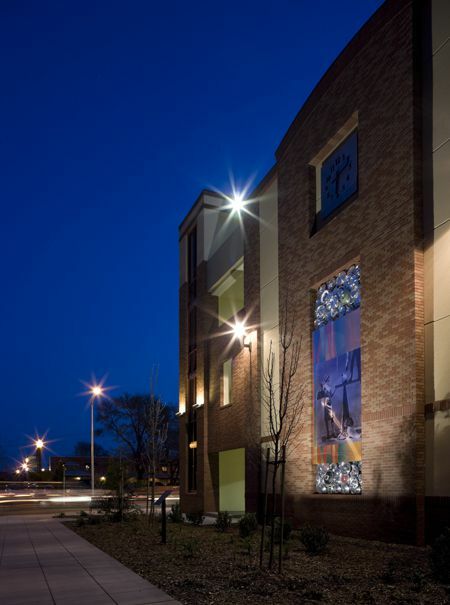 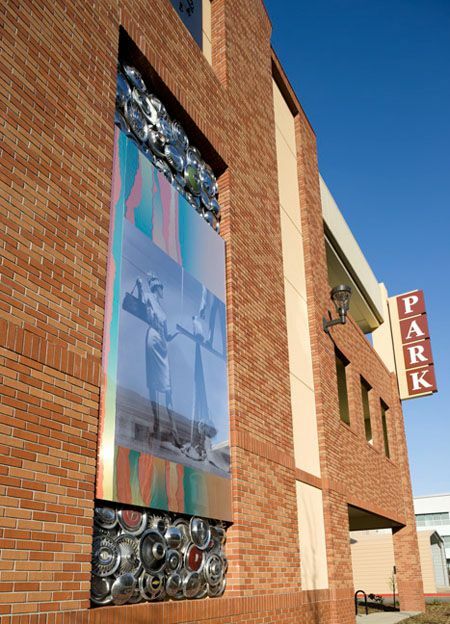 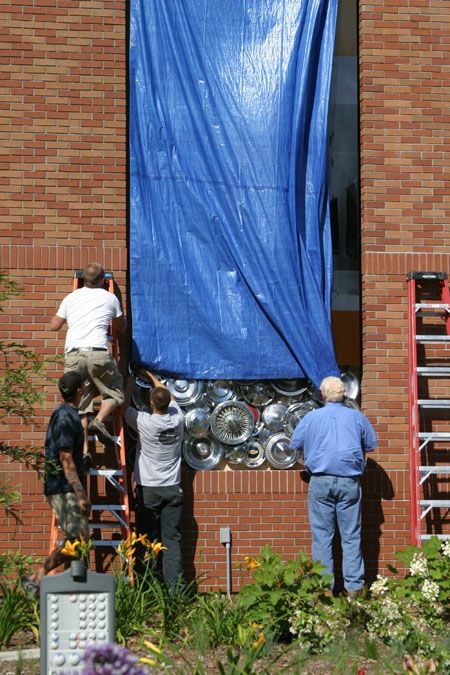 The Napa Parking Garage opening ceremony’s dramatic climax was the unveiling of a 19-foot-high piece of public art on the Main Street facade, created by Gordon Huether. 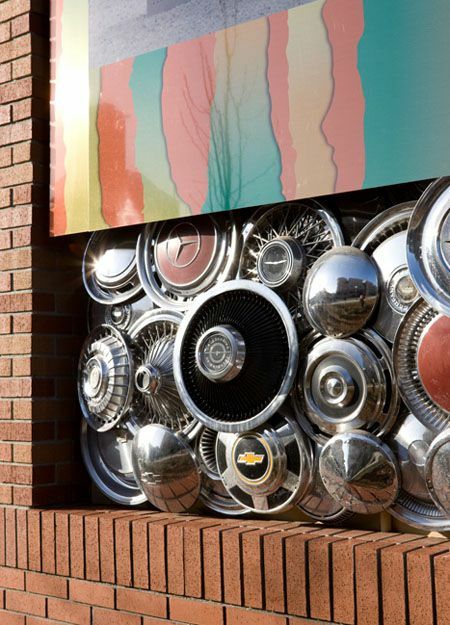 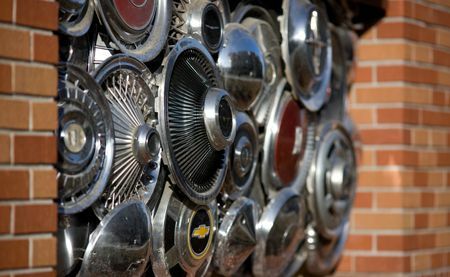 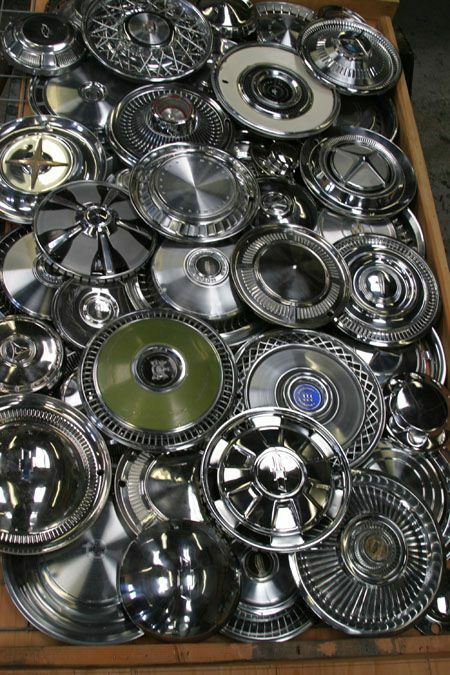 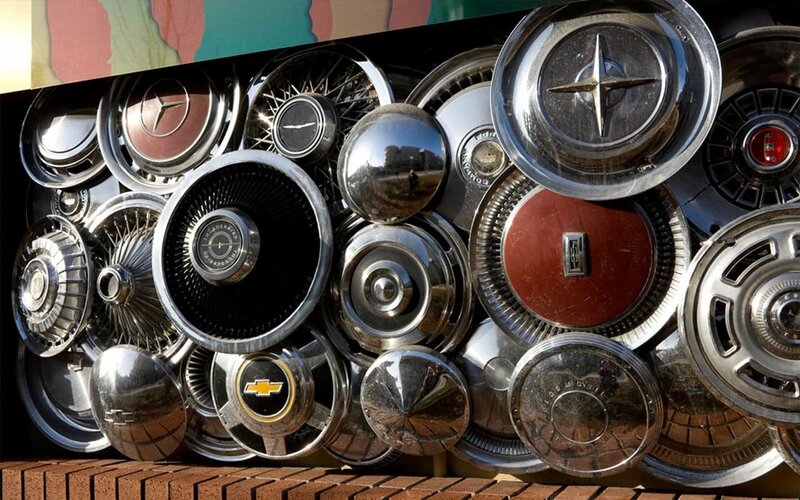 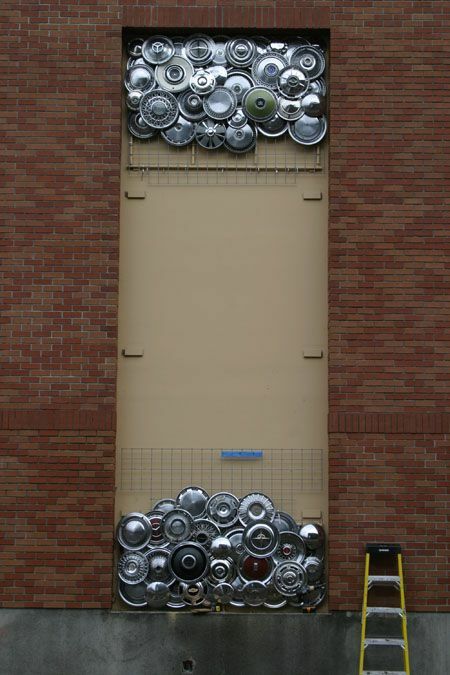 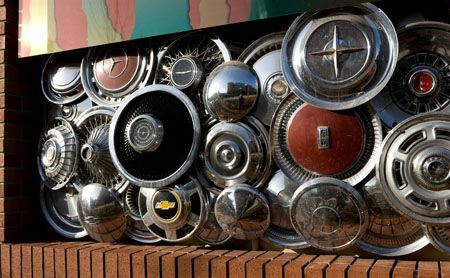 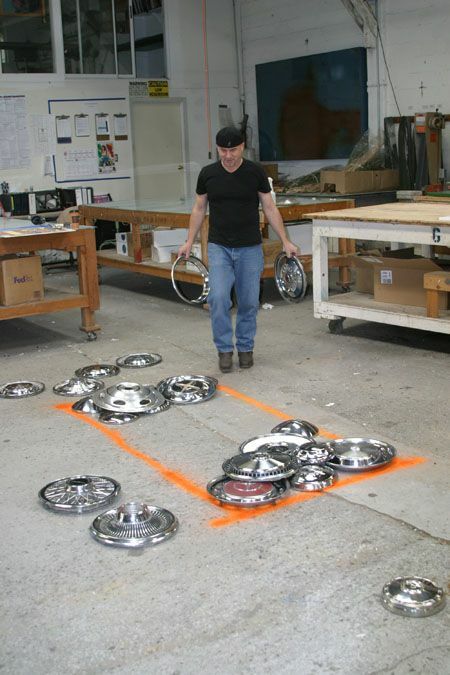 Seventy-five hubcaps from the Hubcap Ranch in Pope Valley border a stainless steel panel. 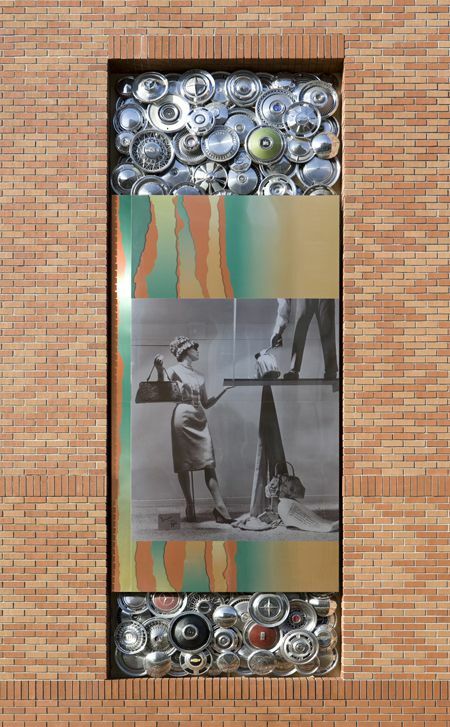 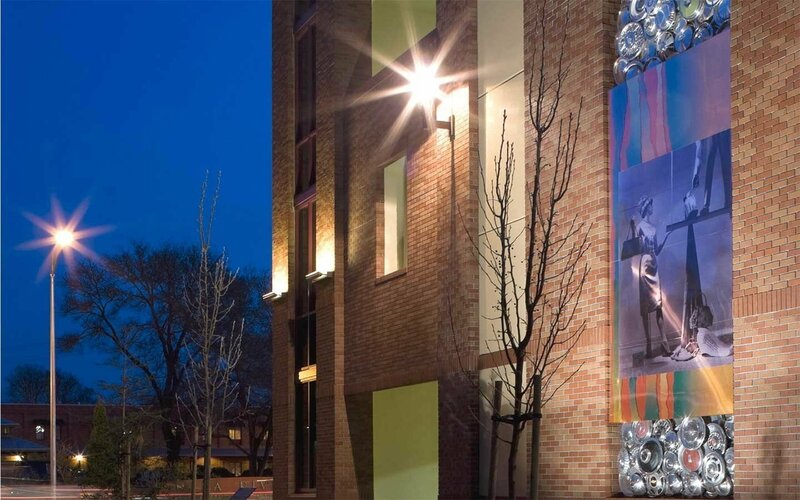 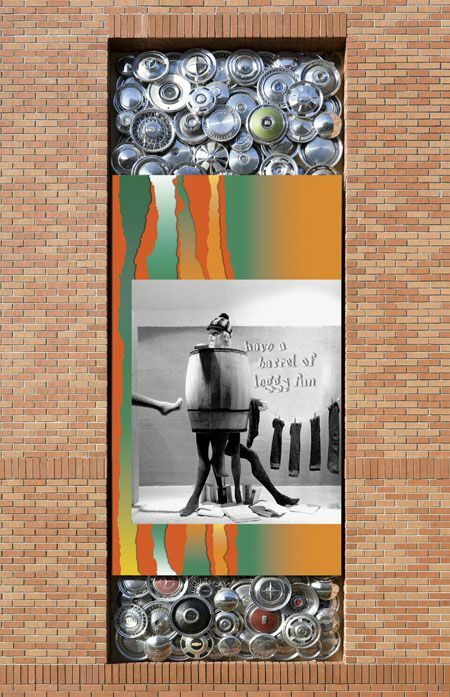 The panel features an image, rendered in a high density thermoencapsulated film photo print, of a 1962 display window in the old Carithers department store designed by Huether’s father, Hubert. 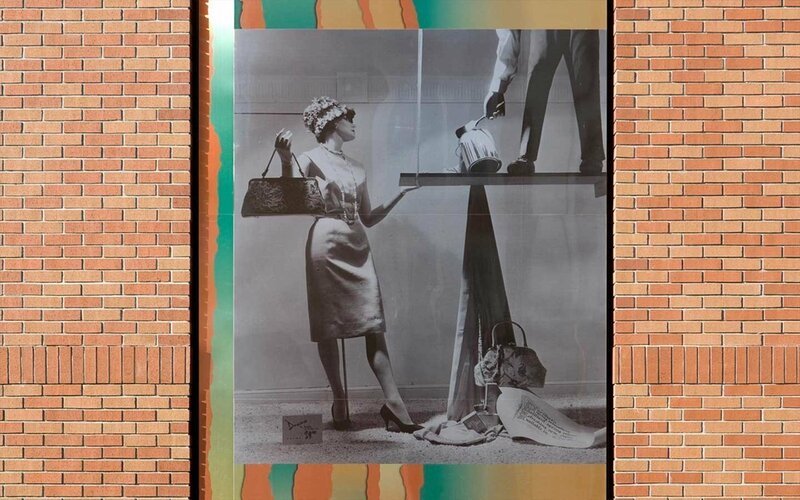 In the display, a stylishly dressed female mannequin is at risk of being splattered by a can of paint. 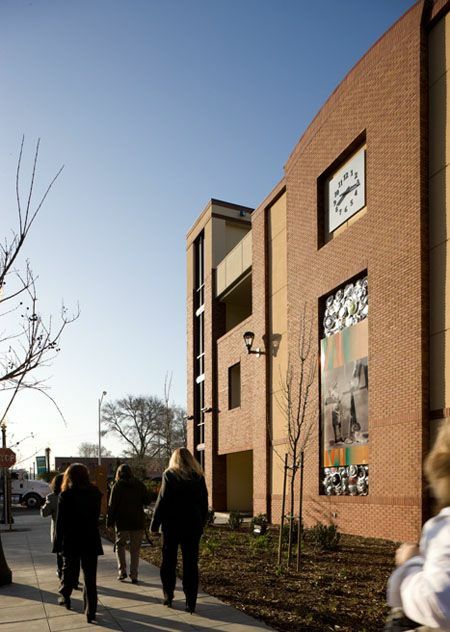 Since the original Carithers was torn down and replaced with a parking garage, it’s somehow fitting that a tribute to the golden age of downtown shopping would be paid at yet another garage, officials said.